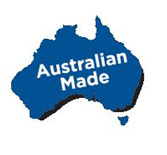 Italplast pride ourselves on manufacturing & supplying Australian made products. The benefits to our customers are producing a consistent high level of quality products that are always readily available. Support Australian industry by buying Australian Made products.